Dermocosmetic shapewear combines a variety of botanical ingredients infused into the fabric, known as microencapsulation. The combination of ingredients found in our shapewear will deliver beautiful and toned results. Our cutting-edge technology encloses active ingredients inside a capsule that is released on the skin. No need to apply costly creams or lotions while wearing our Shapewear garments. Move about your daily routine in comfort. 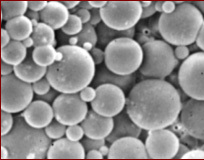 The microencapsulation isolates an active substance from the outside environment and envelops it in a polymer sphere (European Cosmetic Directive 76/768 EEC). The ingredients inside the capsule protect your skin from aggressive outside elements that can damage your skin, such as pollution and sun while the outside protective membrane supports you with additional layers of protection. Shape and Slim® garments are made from high quality, mainly Italian fabrics, which are known for their beauty comfort and resiliency. Keeps out dust, heat, light, etc. After 14 days, they immediately noticed visible results. Clinical tests were performed by an independent laboratory IS0 9001 in France. See chart with active ingredients for our collection. Wearing Shape and Slim® dermocosmetic shapewear can deliver SLIMMING and FIRMING results combined with HYDRATING benefits. Our garments are 100% paraben-free. Our shapewear for women is the perfect liposuction alternative. Comfortable, beautiful and easy to maintain. (Follow our laundry instructions on the packaging). The solution for busy women.